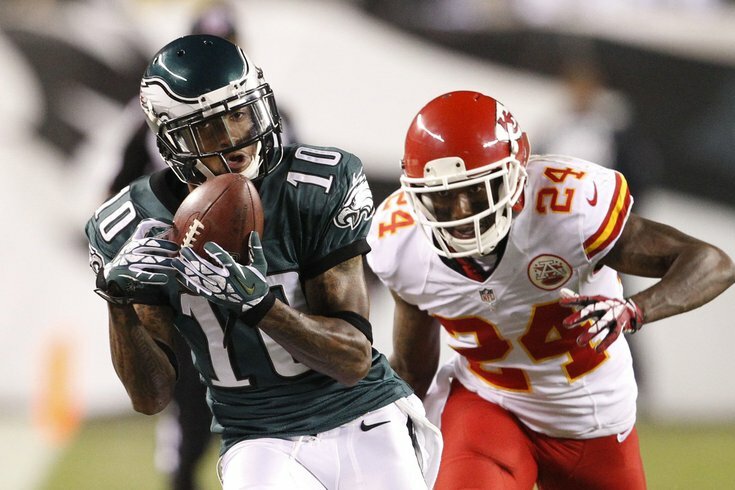 DeSean Jackson is headed back to Philadelphia. At this point, we should’ve seen it coming. The Eagles’ media team churned out yet another 120-second, social media-ready slice of #content for fans on Wednesday, this time welcoming DeSean Jackson back to Philadelphia. The video strings together a whole lot of Jackson running away from defenders, interspersed with a few iconic Merrill Reese calls — including one from a visit after Jackson was traded away — and iconic moments, like the Miracle at the Meadowlands sequel. Pretty good, and the whole tone of the video — happy-go-lucky, upbeat, and generally jovial — is a nice departure from the Very Serious Content the team has churned out over the last 14 months, like this Malcolm Jenkins playoff hype video and the So Long, Nick Foles video. It's also a nice bridging of the generations: Jackson was around when the team started rolling out its trademark hype videos, so it only makes sense to welcome him home with a new one. Jackson, 32, is a unique lightning rod who strikes at most of what Philadelphia sports fans want in a player: brimming with personality, capable of explosive plays, and a little unpredictable. The wideout caught 41 passes for 774 yards and four touchdowns last year with the Tampa Bay Buccaneers, and he seems to have at least a bit of his uncontainable spark left. It’s good to have Jaccpot back in the city.